The Pharisees and Sadducees were influential Jewish sects with conflicting philosophies in regards to the implementation of the Torah. Pharisees and Sadducees also had conflicting views about the role of government in the lives of Jewish citizens. The Pharisees believed that God had punished the Jews by allowing oppressive Pagans like the Romans to rule over them because the Jews refused to uphold the statutes of the Torah (Abels, 2005). This is why they supported the creation of distinctive laws which would keep the Jews from further offending God by adopting the lifestyles of non-Jews. While the Sadducees believed in the authority of the Torah, they were also more supportive of prevailing rulers (Abels, 2005). This is because they understood that they could benefit, in a political and economic sense, from maintaining peaceful relations with the ruling government. According to Harding (2010), the Pharisees were members of middle class Jewish families that were committed to upholding the Mosaic Law. The Sadducees, on the other hand, hailed from the Jewish aristocracy (Harding, 2010). The Sadducees, therefore, were exposed to a more secular education than the Pharisees, and even acknowledged Hellenism. The main difference between the Pharisees and Sadducees concerned the understanding of the function of the Torah in Jewish society. Leaders among the Pharisees were referred to as Rabbi, while most of the Sadducees operated as priests and were members of the Sanhedrin (Harding, 2010). The Sadducees maintained that the first five books of the Bible, otherwise known as the Torah, were the greatest authority on God’s will for the Jews. For the Sadducees, all other laws or texts outside the sacred Torah could not be counted as part of the Law. In contrast, the Pharisees believed that God did not just provide the Jews with the Written Law, but also the Oral Law (Harding, 2010). The Written Law was the Torah, while the Oral law comprised of oral traditions and revelations that were given to Jewish prophets who came after Moses. Essentially, the Pharisees believed that God permits men to interpret the Torah by exercising their reasoning abilities to apply different laws to existing problems. 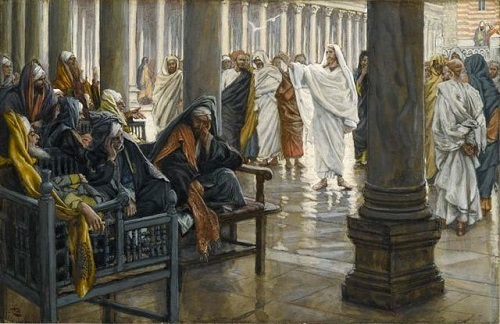 The Pharisees also differed from the Sadducees in the matter of the afterlife. The Pharisees believed in heaven and hell, and taught that man would be judged on the basis of his adherence to the Torah and his works while on earth (The Sedalia Weekly Bazoo, 1980). The Sadducees did not believe that man would experience resurrection after physical death. The Pharisees believed that God would send the Jews a messiah who would bring peace to the world and rule from Jerusalem. They also believed that all circumstances that affected the lives of Jews were divinely ordained. The Sadducees did not believe in a coming messiah, and held that man has freedom of will, and creates his own circumstances (The Sedalia Weekly Bazoo, 1980). Sadducees were essentially liberal elitists who incorporated the concept of free will into their understanding of the Mosaic Law. They endeavored to preserve their priestly caste, and actively took part in political discourse to maintain their influence over their fellow Jews. The Pharisees, on the other hand, were more religiously committed to keeping the statutes of the Oral as well as Written Law, and regularly took part in traditional forms of worship in the temple. They rejected foreign ideologies and philosophies such as Hellenism, and created numerous laws to keep the Jews from interacting with gentiles on a daily basis. Joan Nyokabi. "The Differences Between The Pharisees and Sadducees." DifferenceBetween.net. April 8, 2016 < http://www.differencebetween.net/miscellaneous/religion-miscellaneous/the-differences-between-the-pharisees-and-sadducees/ >. Thanks so much for this information, it has been a Good sent. ‘love god with al your heart…’ in that law, the laws of moses rested. many people were full of moral filth, breaking this law, yet they found some sort of solace in washing the physical filth from their hands before eating ; as if this man made law had some authority over Gods given law.These verses to me are a calling to a greater spiritual perspective. Dont just talk of cleanliness, dont just be clean on the hands but also be clean from within. Thank you for this bit of info. It makes everything clearer with regard to Bible studies. I’m writing a book and wondering if I could cite your article in my book. Please reply to this comment or to my email. Thanks! I love jesus! yay jesus! Thanks for the clearest explanation I’ve ever read explaining the difference! So many things make much more sense when you understand the backdrop of the time, place and people! Abels, R. (2005). First Century of the Common Era: The Christian Apostolic Age.